36. אָמַר רַבִּי אַבָּא, כָּתוּב וְאַתָּה בֶּן אָדָם שָׂא קִינָה עַל בְּתוּלַת יִשְׂרָאֵל. וְכִי עָלֶיהָ לְבַדָּהּ? לֹא. אֶלָּא מִשּׁוּם שֶׁהַכֹּל נִשְׁבַּר בִּגְלָלָהּ. בִּגְלָלָהּ נִשְׁבַּר הַיָּמִין אַחֲרֶיהָ, שֶׁהָיָה מְקָרְבָהּ לַגּוּף. וְהַגּוּף, שֶׁהוּא שֶׁמֶשׁ, נֶחְשַׁךְ בִּגְלָלָהּ, וְזֶהוּ שֶׁכָּתוּב (תהלים ס) הוֹשִׁיעָה יְמִינְךָ וַעֲנֵנִי. גּוּף, (בִּגְלָלָהּ, שֶׁכָּתוּב (ישעיה יג) חָשַׁךְ הַשֶּׁמֶשׁ בְּצֵאתוֹ, וְכָתוּב) שֶׁכָּתוּב (ישעיה נ) אַלְבִּישׁ שָׁמַיִם קַדְרוּת, שֶׁהֲרֵי הַשֶּׁמֶשׁ נֶחְשַׁךְ בִּגְלָלָהּ. כְּמוֹ זֶה, וַתָּמָת שָׁם מִרְיָם וְגוֹ’. 37. וְלֹא הָיָה מַיִם לָעֵדָה, שֶׁהֲרֵי הִסְתַּלְּקָה הַבְּאֵר שֶׁלְּמַעְלָה וְשֶׁלְּמַטָּה, אַחַר כָּךְ נִשְׁבַּר הַיָּמִין, שֶׁכָּתוּב יֵאָסֵף אַהֲרֹן אֶל עַמָּיו. וְאַחַר כָּךְ נֶחְשַׁךְ הַשֶּׁמֶשׁ, שֶׁכָּתוּב (דברים לב) וּמֻת בָּהָר וְגוֹ’, וְהֵאָסֵף אֶל עַמֶּיךָ וְגוֹ’. הֲרֵי זְרוֹעַ יָמִין נִשְׁבְּרָה, וְהַגּוּף, שֶׁהוּא שֶׁמֶשׁ, נֶחְשַׁךְ. 38. וּבֹא וּרְאֵה, לֹא נִמְצָא דוֹר בָּעוֹלָם כְּמוֹ הַדּוֹר שֶׁעָמַד מֹשֶׁה בָּעוֹלָם, וְאַהֲרֹן וּמִרְיָם. וְאִם תֹּאמַר בִּימֵי שְׁלֹמֹה גַּם כָּךְ – לֹא! שֶׁהֲרֵי בִּימֵי שְׁלֹמֹה שָׁלְטָה הַלְּבָנָה, וְהַשֶּׁמֶשׁ הִתְכַּנְּסָה. וּבִימֵי מֹשֶׁה הִתְכַּנְּסָה הַלְּבָנָה וְשָׁלַט הַשֶּׁמֶשׁ . When Miriam passed away, her support was removed from the Israelites. The well of water disappeared with her. The Zohar explains that with Miriam’s death, Malchut lost the connection to Zeir Anpin, the Right column became weak and the light in the world diminished. After Miriam’s death, Aaron, which is the aspect of Chessed of the Right Column died also. Moses was the aspect of Zeir Anpin because he had direct connection to YHVH. The generation of Moses benefitted significantly from his presence. After Moses passed away, God took care of his ‘burial’, which was a process of concealing the Light from the world. In previous DZ I wrote; “Many communities that lost their righteous leader are left in a weak and unstable spiritual state”. The dangers are about losing the soul. If a person follows a teacher, rabbi or any leader, blindly then if the leader is wrong then he loses his soul and any merit for the world to come. There’s a growing distance between the Light and the people. 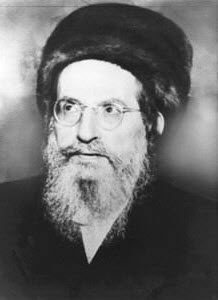 The world is getting darker because we lost many Tzadikim and those who inherited their position do not or can’t follow their righteous ways. I see it in the kabbalah Center, in Laitman’s organization, Chabad and others. Stay with the organization that you feel most comfortable with but remember to take personal responsibility and follow the Torah and the Zohar, not some modern version of a rabbi, a teacher or a leader. In most cases, their goal is to make you happy and keep you ‘voting’ for their party.